For the first time in decades, a small-scale seal hunt is taking place on Canada's West Coast — all in the hopes that it leads to the establishment of a commercial industry to help control booming seal and sea lion populations and protect the region's fish stocks. In early November, a group called the Pacific Balance Pinnipeds Society (PBPS) started using First Nations hunting rights as part of a plan to harvest 30 seals. The society plans to test the meat and blubber to see if it's fit for human consumption and other uses. "We can look at opening up harvesting and starting a new industry," said Tom Sewid, the society's director and a commercial fisherman. "Since the [West Coast] seal cull ended in the 1970s, the population has exploded." Sewid, a member of the Kwakwaka'wakw group of Indigenous peoples, points out that the animals have been hunted for thousands of years. Recent decades with little or no hunting have been an anomaly, he said, pointing to research that shows seal numbers are even higher now than in the 1800s. 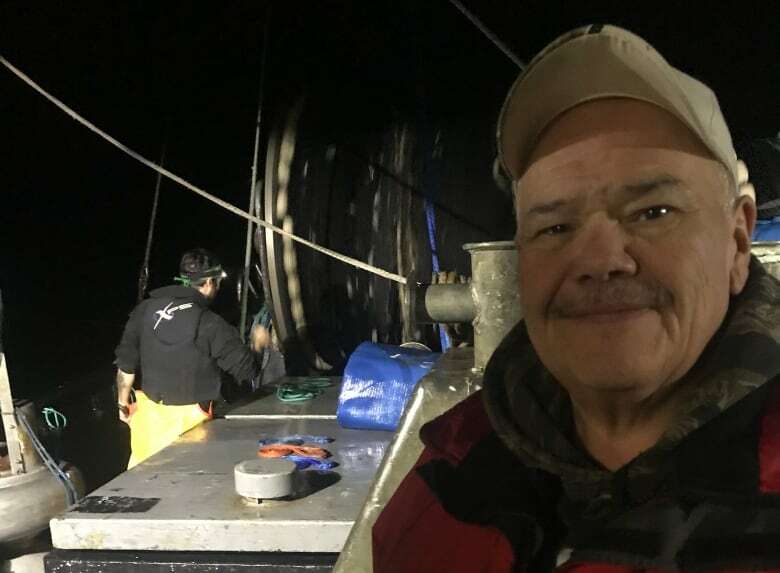 What's become an ongoing battle between humans and sea lions played out on a recent nighttime fishing expedition, when Sewid and a crew of commercial fishermen set out in a 24-metre seine boat to fish for herring off the coast of Parksville, B.C. 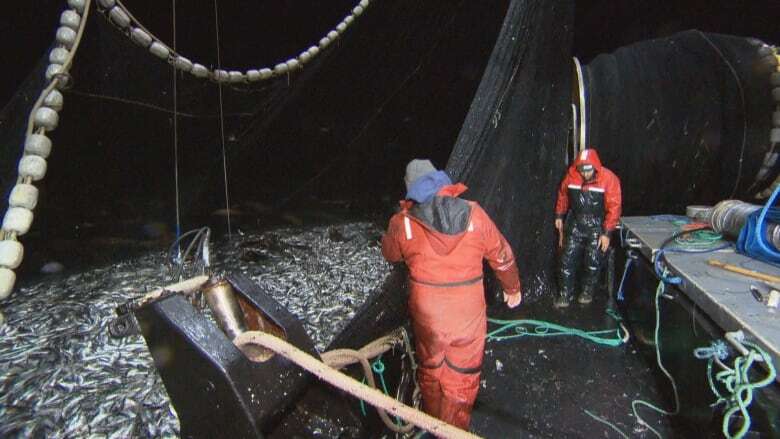 The crew's goal was to catch about 100 tonnes of herring, which rise to the surface to feed after dark. But the faint barking of sea lions was soon heard over the thrum of the boat's diesel engine. "All them sea lions out there are all happy — [they're] all yelling, 'Yahoo, it's dinner time!'" Sewid said. "These guys, it's just a buffet for them," said Sewid, as the bodies of the sea lions glistened in the boat's floodlights. "Just like pigs at a trough." Sewid said the sea lions have learned there's an easy meal to be had whenever they see or hear the fishing boats. "They're not afraid of us. They've habituated themselves to seeing that humans and fishing equates easy access to food, which is not right," he said. "The animal kingdom is not supposed to be like that." The hunting of seals and sea lions — which are collectively known as pinnipeds — has been banned on the West Coast for more than 40 years. It's one reason their numbers have exploded along the entire Pacific coastline of North America. According to one study, the harbour seal population in the Salish Sea is estimated at 80,000 today, up from 8,600 in 1975. 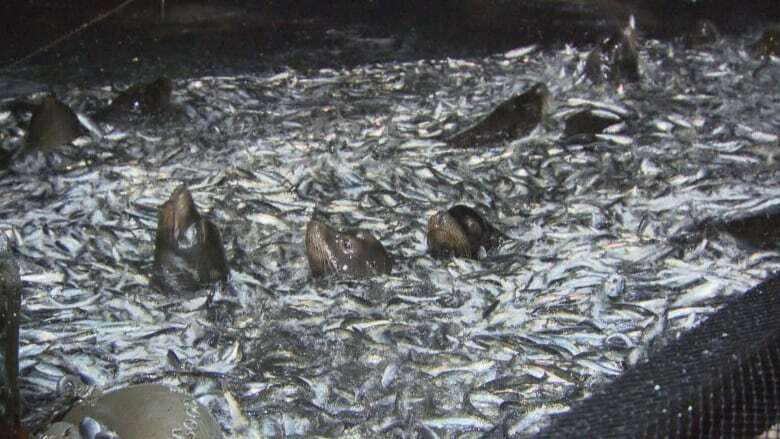 The study also says seals and sea lions now eat six times as many chinook salmon as are caught in the region's commercial and sports fisheries combined. Sewid's group is proposing to cull current populations of harbour seals and sea lions by half, which would see thousands of the animals killed each year. The society's small-scale "test" harvest is taking place between B.C. 's southern Gulf Islands and as far north as Campbell River, on Vancouver Island. It's being carried out under the provisions of the Aboriginal Fisheries Strategy, which gives some First Nations harvesting and management rights for food and ceremonial purposes. Testing the meat to see if it's safe for human consumption is a first step in a plan to eventually gain permission for what the PBPS envisions as a sustainable, humane commercial hunt, which would largely be carried out by coastal First Nations. "All the meat that's in there, you're looking at the high-end restaurants [that would sell it]," Sewid said. "The hides can also be used." Seal blubber is particularly valuable, he said, because it can be rendered down into an oil that's in demand because of its high Omega-3 fatty acid content. The PBPS does have a growing list of supporters, including 110 First Nations groups, a number of commercial fishing organizations, and some sectors of B.C. 's economically important sport fishing sector. 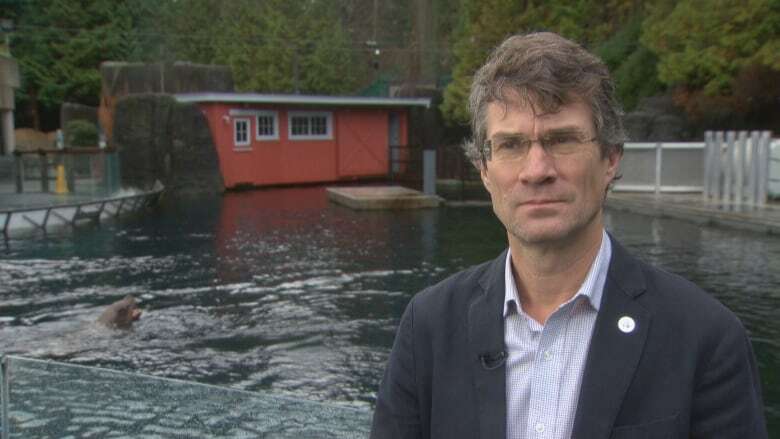 The institute's director, Martin Paish, says the group sees some value in targeting some seals and other fish predators at specific times of year in a number of key river systems; he believes a limited hunt would help protect salmon stocks and boost the billion-dollar-a-year B.C. sport fishing industry. "Our goal is to use predator control in a careful manner to improve chinook [salmon] production where it is needed," said Paish. 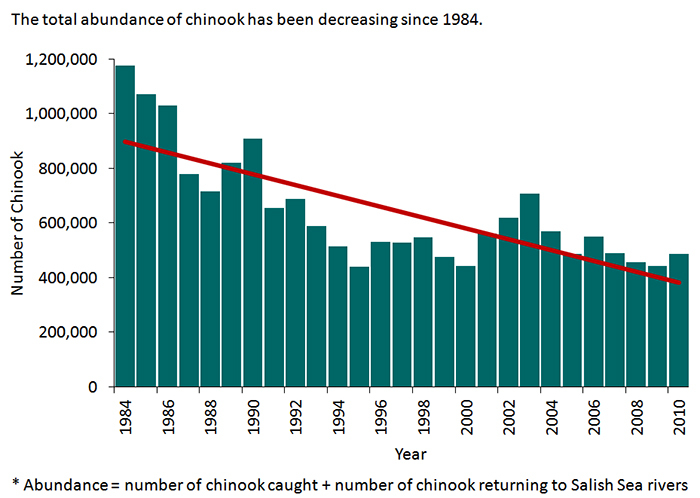 "They're killing a really high percentage of the small salmon shortly after they go into the ocean, about half of the coho smolts and a third of the chinooks," he said. Advocates of a hunt are also pitching it as a way to help B.C. 's endangered southern resident killer whales, which feed mainly on salmon. "The thing that would benefit southern resident killer whales is to see improved survival of small chinook salmon — and I think the only way we can achieve that is by reducing seal numbers," Walters said. 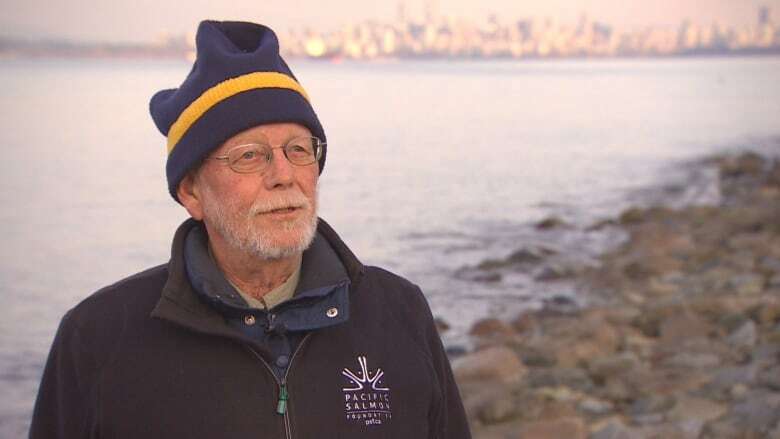 "Killing of seals and sea lions is not going to have any positive impact for any salmon populations in coastal British Columbia," he said. Back on the boat, Sewid concedes a hunt would be controversial — but he firmly believes it's necessary. "All the indicators are there," he said. "It's time to get the balance back." Greg Rasmussen is a National Reporter for CBC news based in Vancouver. He's covered news stories across Canada and around the world for more than two decades.